A very unusual accessory to add realism to your German armoured vehicles. 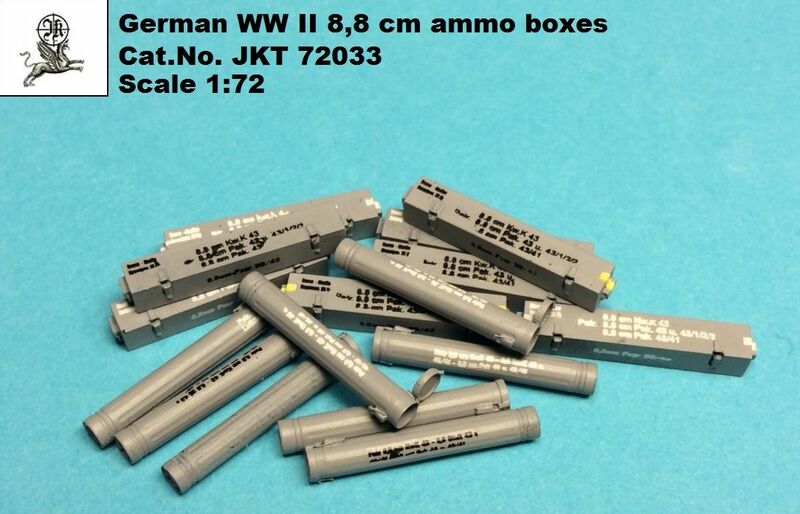 The pack contains sixteen 8.8cm KwK ammo boxes in 1/72 scale suitable for Jagdpanther, Tiger I, King Tiger and 88mm anti tank guns. There are eight rectangular ammo boxes and 8 circular tubes with two circular end covers. The pack includes decals for marking up the boxes and tubes.